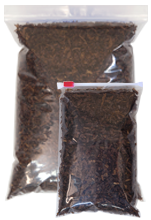 Cigar Bags and Loose Tobacco Bags in stock for same day shipping! 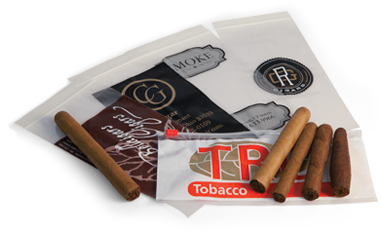 Preprinted Zip Top bags for cigars and loose tobacco. In stock and ready for same day shipping. Preprinted Slider Lock bags for cigars and loose tobacco. in stock and ready for immediate delivery. Clear and white block bags in Zipper Locking & Slider Lock styles. In stock and ready for immediate delivery. Our pre-printed bags are printed with an ellegant, two color logo with the words "Fine Cigars" or "Fine Tobacco" in black and gold ink. 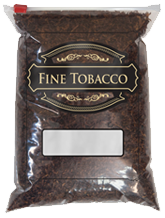 All of our Cigar Bags and Tobacco Bags meet and exceed FDA and USDA requirements. Instantly communicate your brand with your own unique custom designed cigar and tobacco bags! Cigars require proper storage even if they are being transported from a store to your home. They are sensitive to heat and cold and need to be maintained at a certain humidity level. Cigars are fragile and will react to their environment quickly (perfect conditions are 70% humidity at 70 degrees). By using a cigar bag you can insure to preserve the freshness of cigars and prevent them from becoming damaged and or bad. 3" x 10"NA4" x 8"
5" x 10"10" x 5"
8" x 10"10" x 8"
3" x 10"4" x 8"10" x 5"
5" x 10"10" x 8"
4" x 8"NA10" x 5"
6.5" x 10"10" x 8"